GIVE is the theme of our December issue, and we have the privilege of featuring the artwork of Jan Fagan on our cover. Jan lives and works at her art full time in the Pacific Northwest, but she has lived all over the United States, from Hawaii to the east coast. 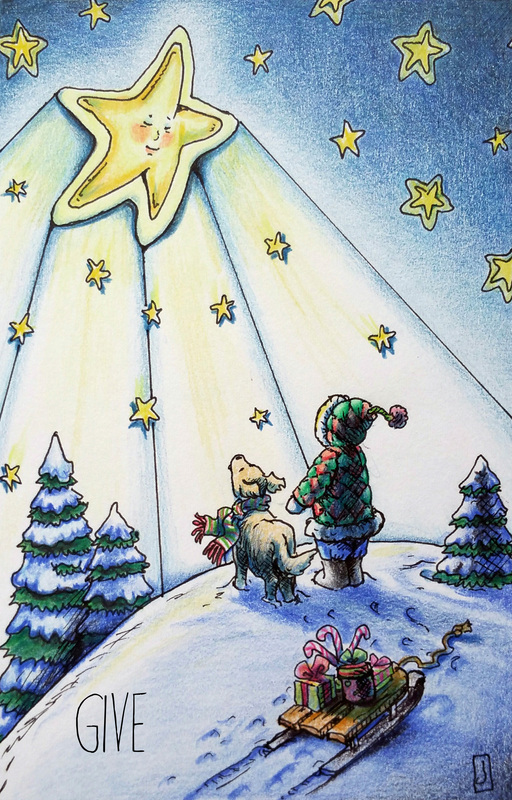 Her love of illustration and art started very young when she was an “Army Brat,” which introduced her to a constant supply of exciting new experiences and diverse people. Her artwork encourages people to view the world through the eyes of a child. In this way, young and old alike can fill their lives with wonder and magic. Jan’s favorite medium is artist-grade colored pencil and pen, but she also enjoys creating characters from clay when the need for a creative diversion arises. She is a member of the Colored Pencil Society of America and the Society for Children’s Book Writers and Illustrators. Her work has been featured two years in a row in Ann Kullberg’s CP Treasures volumes 4 and 5 (2016 and 2017), a juried book of 120 colored pencil artists whose work is chosen from more than 800 artist submissions worldwide. To see more, visit http://www.janfaganart.com and http://www.etsy.com/shop/JanFaganArt. 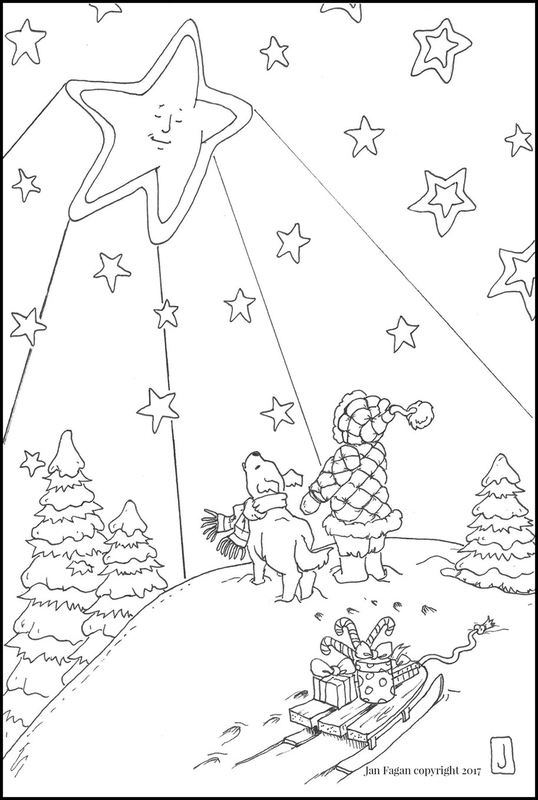 In addition to her whimsical colored drawing, Jan has graciously agreed to GIVE our readers a blank version of ‘Christmas Star’ to download, print, and color. So get out your colored pencils, and enjoy this month’s art and articles from all of us at Kindred Magazine. Happy holidays!